The Mac comes with the web browser Safari, but some Mac users wonder if that is the best web browser for them. 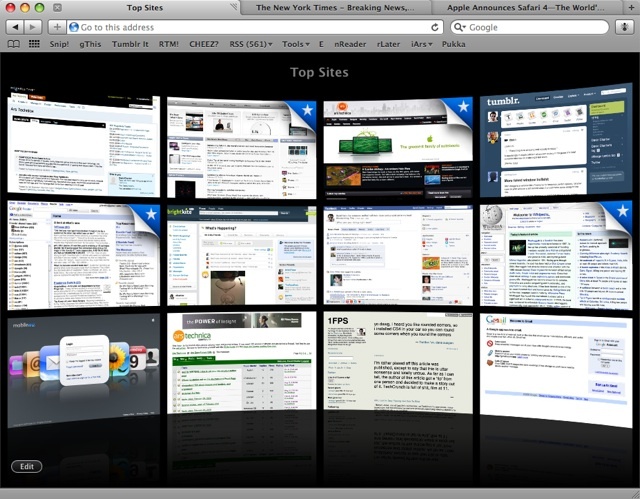 Safari is currently the most popular browser for the Mac. In a lot of cases users never think to change their web browsers. Some users don’t realize that browsers have different features and speeds. Let’s take a look at some of the browsers some Mac users choose to use. Firefox is a very popular browser. It has many of the features that Safari has, but has the best plugin features among web browsers. It does suffer from lack of support for the Mac OS, but these can be overcome with plugins and add ons. Firefox is an extremely fast browser. Camino is a web browser that is similar to Firefox but was designed specifically for the Mac. Although it is similar to Firefox it doesn’t have the number of add ons and plugins that Firefox has. However, it isn’t a RAM hog like Firefox is. Opera is another web browser option for the Mac. It isn’t as popular as Firefox or Safari, but is considered by many to be a very stable and efficient web browser. All of the above browsers are excellent choices for adult Mac users. Usually people will get accustomed to a certain look and feel that a web browser has and end up loyal to that browser. So if you are coming from a PC that used Firefox, it’s nice to know that you can use Firefox on your Mac and not miss a beat. An excellent browser for the Mac if you have children is Bumpercar. It offers an adult greater control of what their kids come in contact with when they surf the web. Having a separate browser for your children can make it easier for you to control content and not have to constantly adjust your settings. At the end of the day, the best all around browser is Firefox. It has the plugins and add ons and is fast. It does take more system resources than the other browsers, but that isn’t much of a problem for a Mac. Even though it doesn’t offer that much support, the add ons will take care of any feature that you need for your Mac.